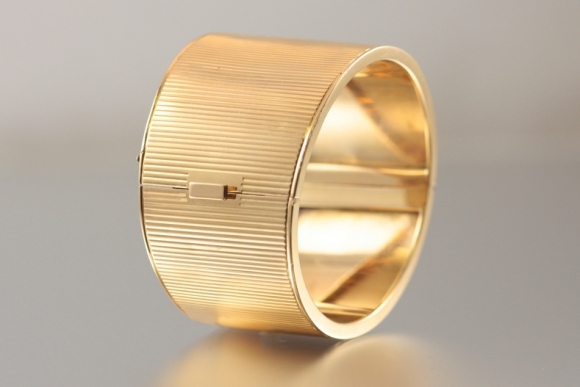 Wonderful ridged 14K yellow gold cuff bangle measuring 1 1/2 inches at its widest. Oval to fit comfortably on most wrists. Circa 1940.